Twenty-seven years and going strong. Throughout all of our trials and tribulations we have grown stronger, loved harder and served a wonderful God. My husband Karl McNeill Sr. is an amazing man and a wonderful father. 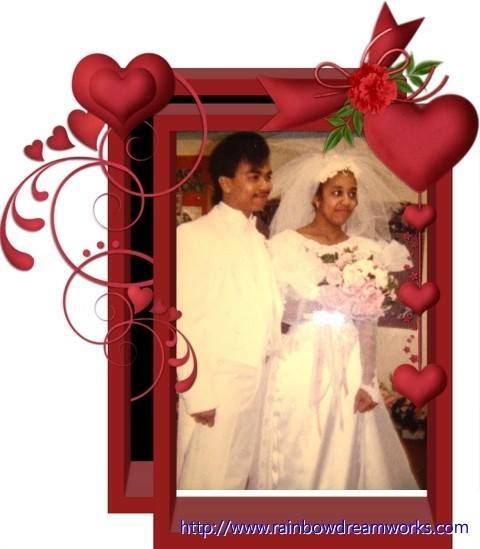 When I was diagnosed with Sarcoidosis fifteen years ago, he held my hand and said Baby we got this. And I have to say, we are all fighting this together. #SarcoidosisSucks! This entry was posted in Family, My Life with Sarcoidosis, Sarcoidosis and tagged Chronic Pain, Foundation for Sarcoidosis Research, Karl McNeill Sr., KMSR Enterprises, Living with Sarcoidosis, Marilyn's Fight 4 Life KICK Sarcoidosis, sarcoidosis, Wedding Anniversary. Bookmark the permalink.